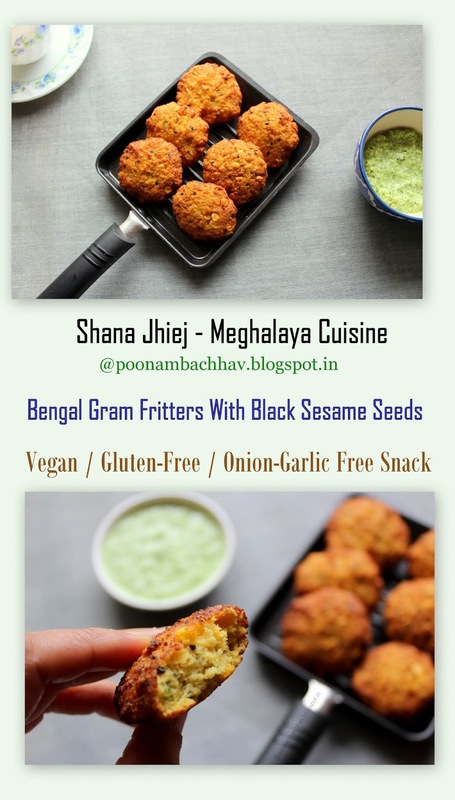 Shana Jhiej is a traditional vegetarian starter dish from Meghalaya Cuisine. Basically a Bengal gram fritter, this onion-garlic free snack is vegan, gluten-free, protein-rich and distinct in taste because of the use of black sesame seeds in it. 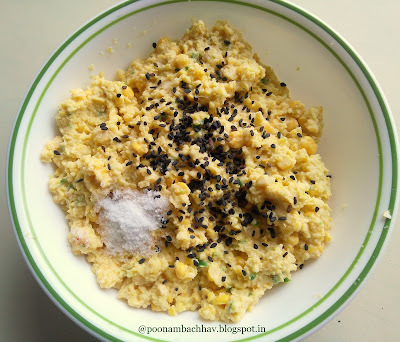 Shana Jhiej is crisp and crunchy , mildly spicy and delicious in taste and makes for a perfect tea time snack, though you can serve it as a side dish with your regular meal. It tastes good on its own but I have paired it with a Vitamin C loaded Indian Gooseberry / Amla Chutney. By now my regular readers must have noticed that month end is the time when I have a regional post for Shhhhh Cooking Secretly Challenge group. For the month of February we were on a virtual tour to the beautiful North Eastern State of Meghalaya. My partner for the theme was Renu Dongre Agrawal who blog at CookwithRenu. 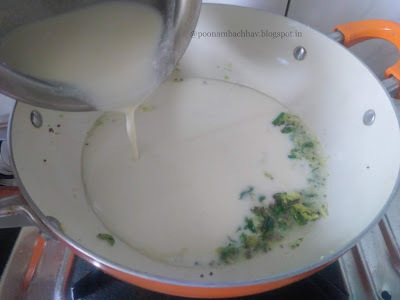 Renu's blog is a collection of her kitchen experiments from different cuisines around the globe. I like her healthy bakes and desserts the most. 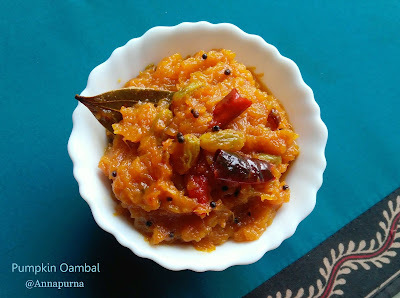 Do check out her space for some lovely vegetarian recipes. For the challenge, we both decided to cook a dish with same set of ingredients. And to our surprise, we both ended up cooking the same dish on the same day. 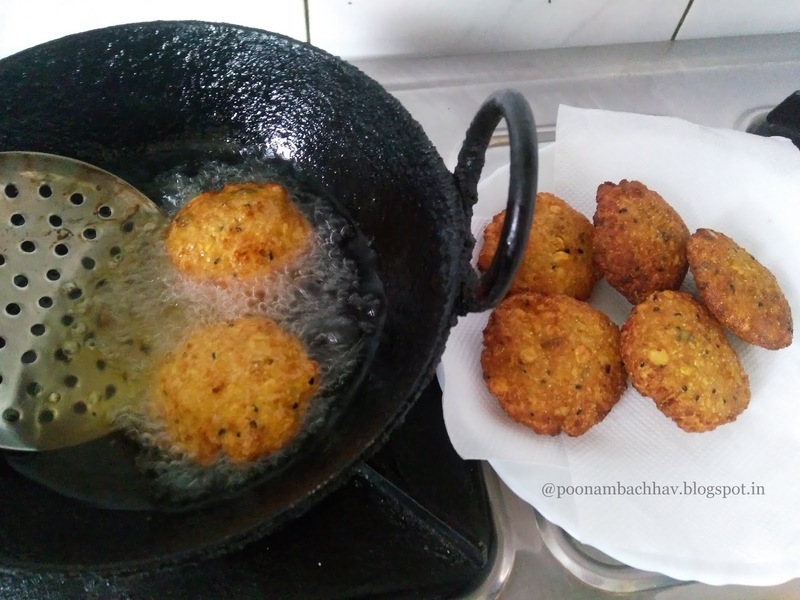 Only difference is that I decided to stay with the traditional method of deep frying the fritters, while Renu opted to give the dish a healthy twist by baking the vada. Click here for the link to her recipe. Meghalaya is one of the Seven Sister States of North-East India. The state is geologically rich, is mostly mountainous , with stretches of valleys and highland plateaus. Meghalaya has many rivers , most of which are seasonal and rain-fed. The word Meghalaya translates to 'abode of clouds' in Sanskrit. With an average annual rainfall as high as 12000 mm in some areas, Meghalaya is the wettest place on the Earth. This reminds me of my Geography lessons in School, Cherrapunji in Khasi hills, south of capital Shillong holds the world record for most rain in the calendar month. Meghalaya is a home to three Mongoloid tribes and has a unique cuisine different from the other Seven Sister states of North East India. The staple food of the people is rice with spicy meat and fish preparations. They rear goats, pigs, fowl, ducks and relish their meat. Wash the split Bengal gram and soak it in water for 2-3 hours. 2. 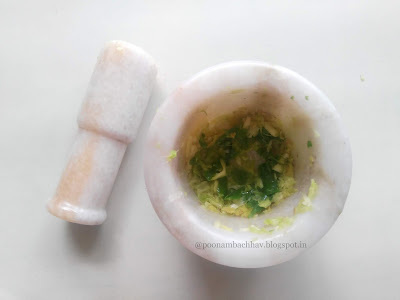 Drain and transfer it to a grinder jar with green chilies and ginger. Pulse it to a coarse paste adding very little water. 3. 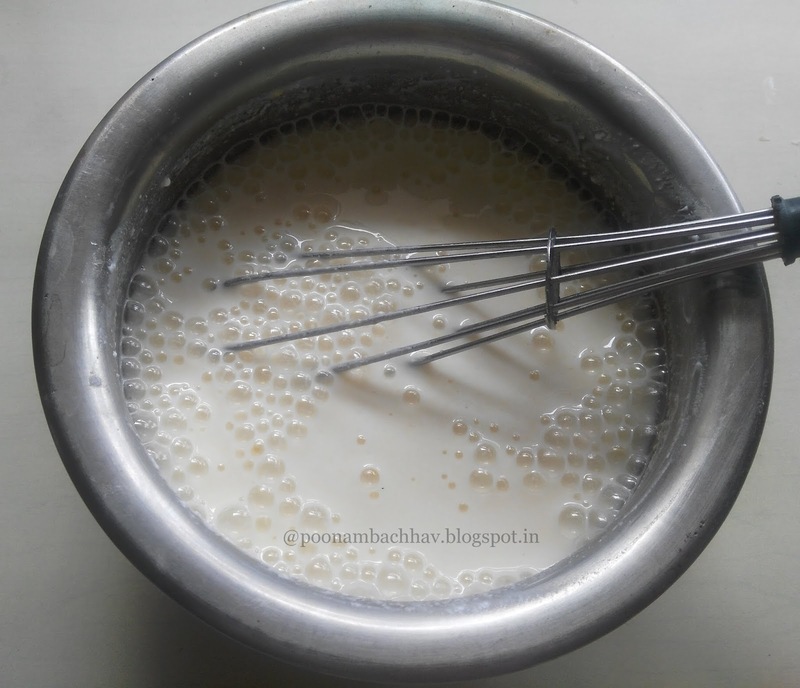 Take out the batter into a bowl , add salt and black sesame seeds to it. Mix well. 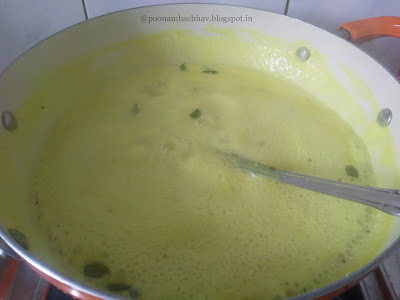 Take small portion of the batter and shape into vada. Make vadas with all the batter. 4. Heat oil in a wok and deep fry the vadas until golden brown and crisp from all sides. Remove the fritters with a slotted ladle and allow to drain on a kitchen absorbent sheet. 5. Serve the delicious Shana Jheij with chutney or dip of your choice. 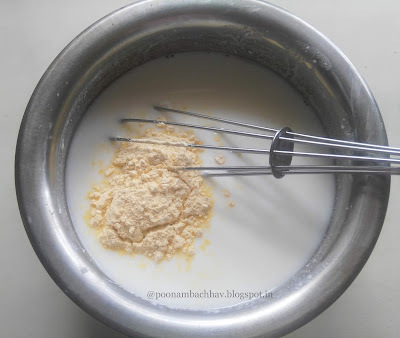 You may add grated ginger to the batter , i have blended it with the batter. Use minimal water while grinding the soaked Bengal gram to batter. Do not skip the use of black sesame seeds in the recipe. The green chili levels can be adjusted as per the spice tolerance. Mediterranean Cauliflower rice is a delicious grain-free, low- carb , Vegan + Paleo meal. This flavorful dish is gluten-free, packed with vitamins, easy to make and can be served as salad, side dish, a light lunch or dinner option. This cauliflower rice is mildly spiced, light and fluffy, has perfect amount of moisture and with the bell pepper and broccoli going in, the dish is wholesome too. It has got a nutty taste from toasted sesame seeds and aroma and flavor from lemon zest and juice and is ready under 10 minutes. I have paired this cauliflower rice with my favourite Quinoa summer salad and fresh fruits in a colorful and filling pegan platter. You may have it on its own or pair with some stir fried veggie. Various fad diets are gaining popularity these days like the Keto diet, Vegan, Paleo, etc to name a few. Majority of these diets focus on losing weight, some are meant for those who intend to lower cholesterol, few for gaining weight and some others for following a particular lifestyle. These diets focus on particular food and involve elimination of certain food groups. Vegan diet as many of us are aware is completely plant-based ( vegetables, fruits, grains, nuts,and food made from plants), Vegans do not eat foods that come from animals, including dairy products, eggs and honey. Paleo diet on the other hand is basically a high-protein, high-fiber eating plan where you can eat lot of fresh lean meats, fruits, vegetables and healthy fats but you can't eat any processed foods, dairy, wheat, grains and legumes on this diet. In Paleo diet, you eat like a caveman, or our hunter-gatherer ancestors, before farming came into existence. Today we will discuss about Pegan Diet, a new eating trend, which we get on combining Paleo and Vegan diet. The pegan diet is relatively new, founded by Dr Mark Hyman in 2015. The diet is currently most popular in the US, including supporters like Bill Clinton, and is slowly spreading to Australian shores. Peganisgm is based on the 75/25 rule. Fruits and vegetables make up the bulk of the diet and the remaining 25 per cent is a combination of protein and heart-healthy mono-saturated fats. Dairy, gluten, legumes and anything processed or packaged is off the list. Non starchy colorful vegetables are allowed. 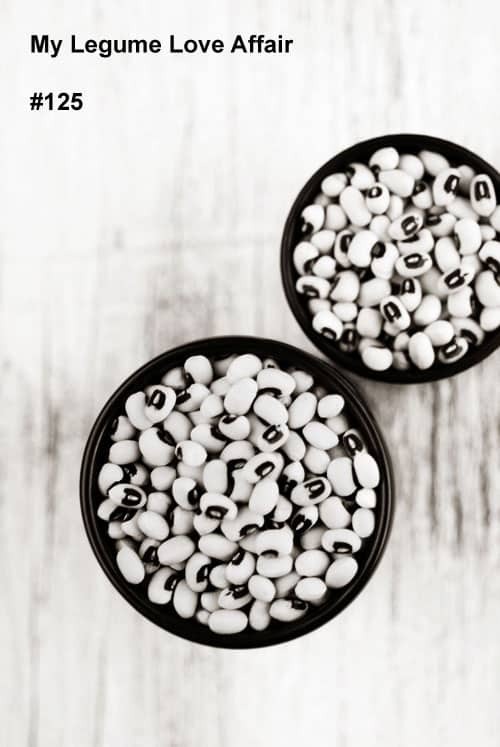 When choosing protein, a combination of animal and plant-based sources are suggested.The basic idea behind the 'pegan diet' is to throw processed foods out of one's daily meals. so the diet has to be one that excludes sugar and starch and includes plant foods as well as animal foods. I have gathered this information from various sites on the Internet. Now you all must be thinking, why I am talking about all these diets. 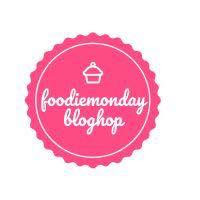 Actually the theme for th#184th #FoodieMondayBlogHop is #PeganDiet. Frankly speaking when Veena di suggested this theme, i had not heard of this term 'pegan' before and i literally googled its meaning. Majority of our team mates voted for this diet with a hope to know more about this new type of eating trend. Then went a series of research and reading from various sources, and discussions by our group mates as to what is allowed and what not in this diet, before i could finalize this dish for the theme. 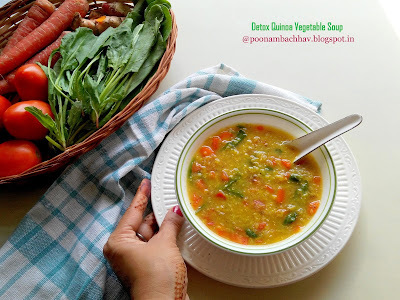 Veena di blogs at Veenasvegnation. 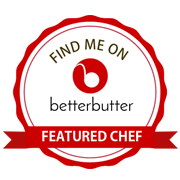 Check out her space for some wonderful bakes and vegetarian dishes from around the globe. All her recipes are tried and tasted and easily doable. This Cauliflower rice is a no grain, low-carb meal. Lemon zest and lemon juice along with parsley lend the Mediterranean flavors to the dish. I have used a food processor with grating attachment to make the rice. You may use a box grater instead if you do not have a food processor. Toasted Sesame seeds not only give a nutty taste but also make the dish rich in proteins which is requirement for a Pegan diet. The key to a perfectly cooked cauliflower rice is that the flame has to be high so that the moisture dries up without making the veggies mushy. 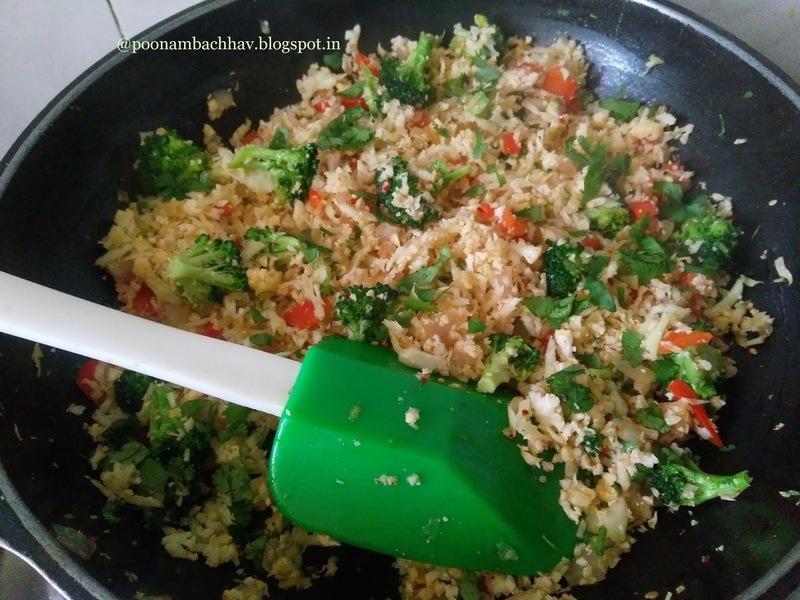 All the veggies used in this rice, cauliflower, broccoli, bell peppers are non starchy veggies which is also another important criteria for a pegan diet. You may scramble an egg or two while stir frying this cauliflower rice for the extra protein or serve the rice with boiled egg . 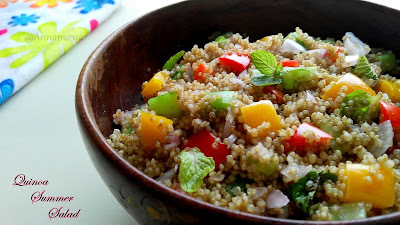 I have served the rice with a colorful quinoa salad which made up for the protein in my platter along with the sesame seeds in the dish. Fresh kiwi and oranges made my platter wholesome and soulful. Small bunch of parsley , roughly torn for garnishing. Remove the leaves and stems of cauliflower. Chop into florets and wash them. 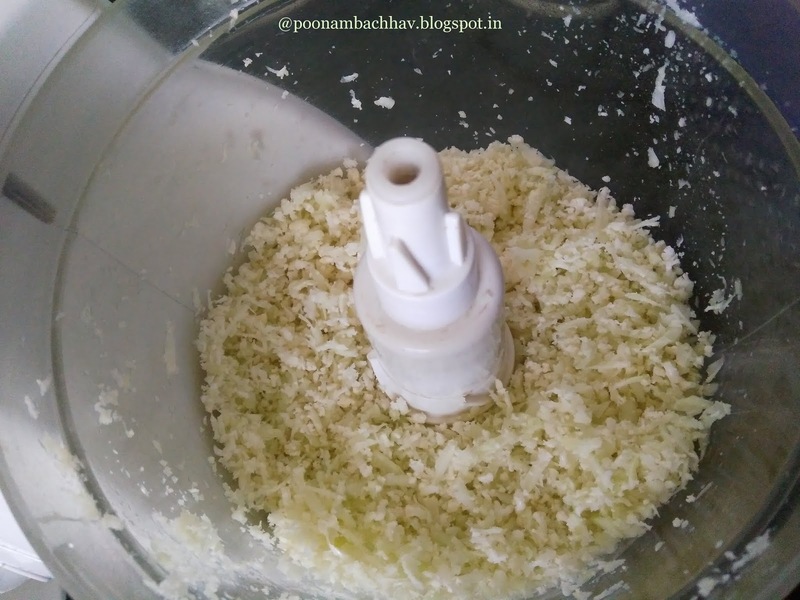 Now press the florets through the running food processor with grating attachment, alternatively you may use 's ' shape blade of the food processor and pulse for 1-2 minutes. If you do not have a food processor, you may simply grate the cauliflower head using a box grater manually. 2. Heat 1 tablespoon olive oil in a pan. Add minced garlic, grated ginger followed by the chopped onions. Saute until the onions turn soft. 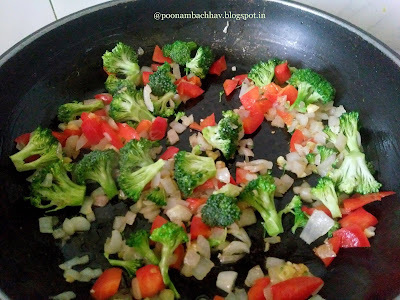 Next increase the flame and add the broccoli and red bell pepper. Stir fry the veggies on medium to high flame for 2-3 minutes. 3. Next add the cauliflower rice, toasted sesame seeds, red chili flakes, lemon zest and salt. Stir to blend everything well. Cook the rice on medium to high flame while stirring for another 2-3 minutes. 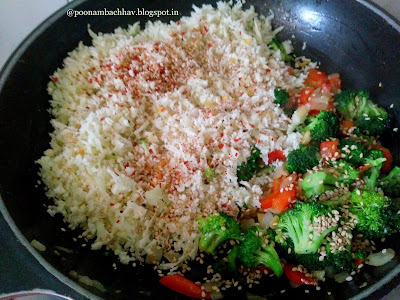 We are looking for the rice which is not mushy and the veggies still retaining the crunch. Just make sure there is no liquid in the dish. 4. Lastly add the lemon juice, black pepper powder and parsley. Give a quick stir and put off the flame. 5. Serve the delicious low-carb Mediterranean rice and enjoy the flavorful treat ! Cook the cauliflower rice on high flame so that it does not turn mushy. You may scramble an egg and then stir fry the cauliflower rice for a more filling protein rich meal. Alternatively you may serve this rice with boiled egg . 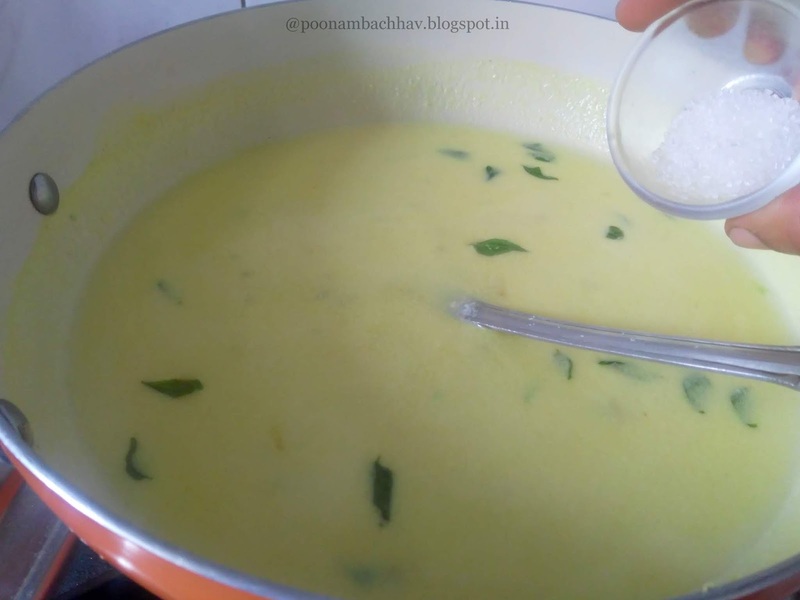 Do not skip lemon zest and lemon juice in the recipe as it lends a lovely aroma and flavor to the dish. You may add grated carrots, mushrooms as well in this cauliflower rice to make it a wholesome meal. 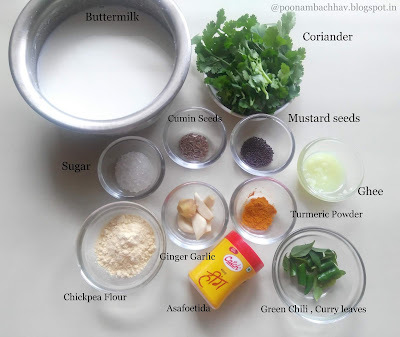 You may substitute parsley with cilantro or coriander leaves. The recipe is designed for a pegan diet. You may make changes as per your wish if not making for a particular diet. 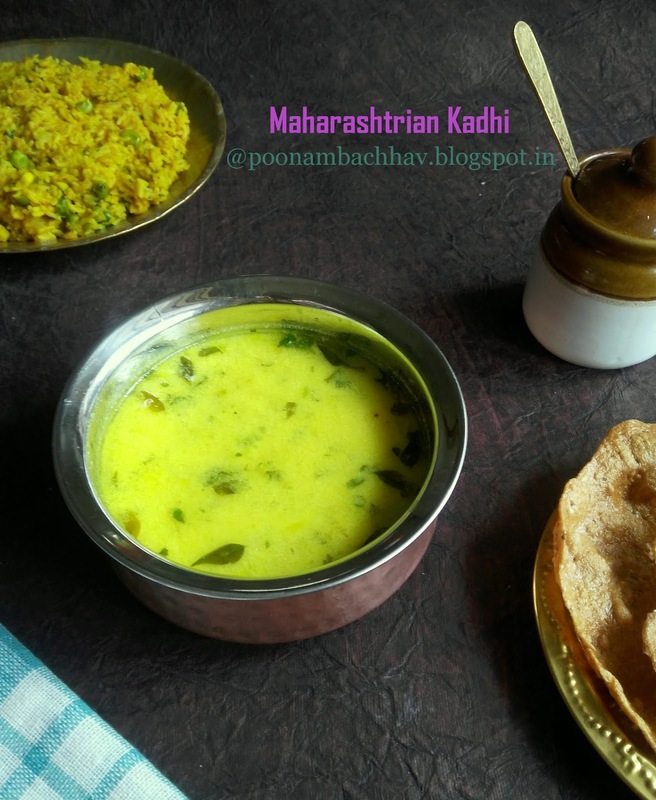 Falahari Makhana Chivda is a healthy and delicious savory snack made with Fox Nut (Lotus Seeds) and dry fruits. This makhana chivda is crispy , gets a crunch from toasted nuts and mildly spicy and a bit sweet in taste. 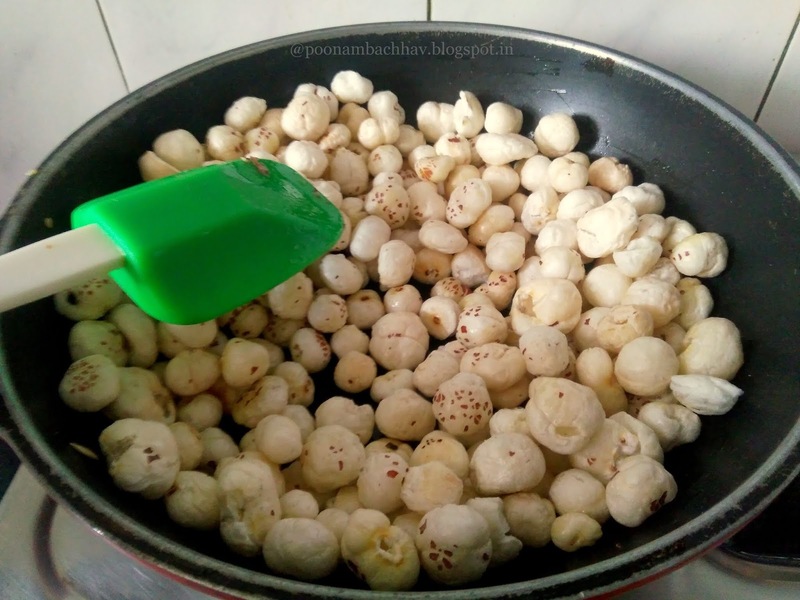 The recipe is quick and simple and calls for roasting the lotus seeds and nuts like almonds, cashews and peanuts in little ghee and then tossing them with flavorful seasonings. 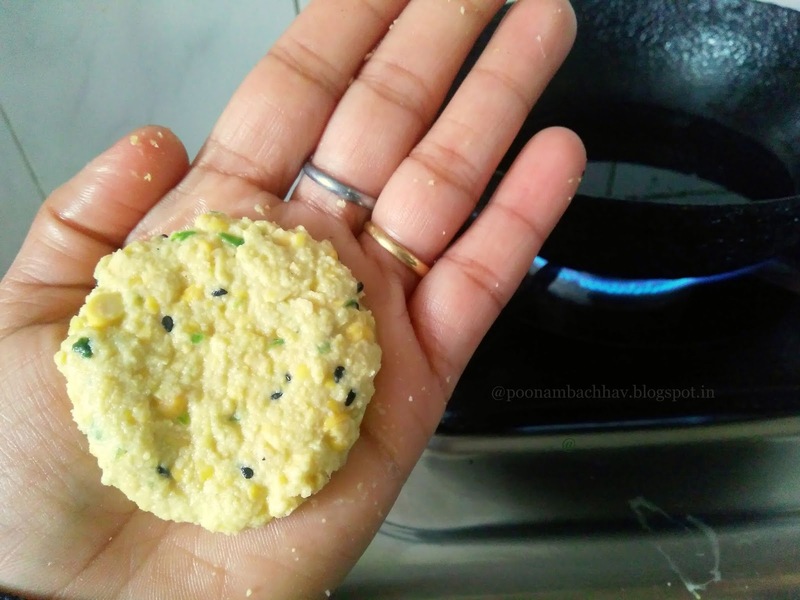 Though it is a preferred fasting recipe for vrat like Ekadashi and Navratri , it can also be served as a guilt free mid-day snack or paired with a cup of piping hot Masala Chai on regular days. 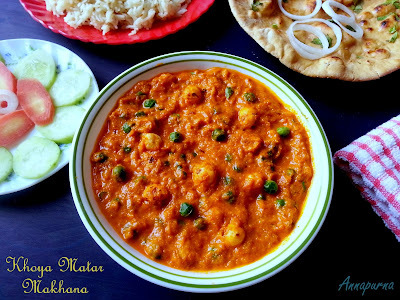 This masala makhana is so addictive that you can easily replace store bought chips packet with it. For a vegan version, replace ghee with oil. 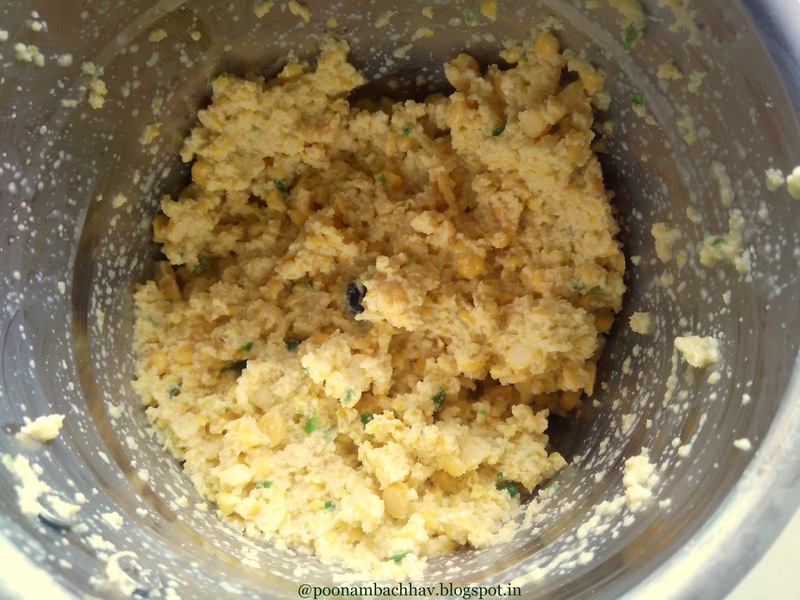 Makhana Chivda can be made ahead of time and stored in air tight container for about a week. I introduced makhana in our daily diet 3 years back after reading about its numerous health benefits. 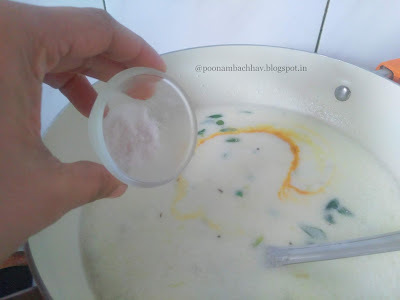 Since then my kitchen pantry is always stocked up with a packet of this versatile super food and I use them in roasted and caramelized form during fast at least once a week and make kheer , raita and curry dishes using makhana occasionally. Heat 1 tablespoon ghee in a pan over medium flame and add peanuts to it. Fry the peanuts on low flame for a minute or so. Next add the almonds and fry them for half a minute. 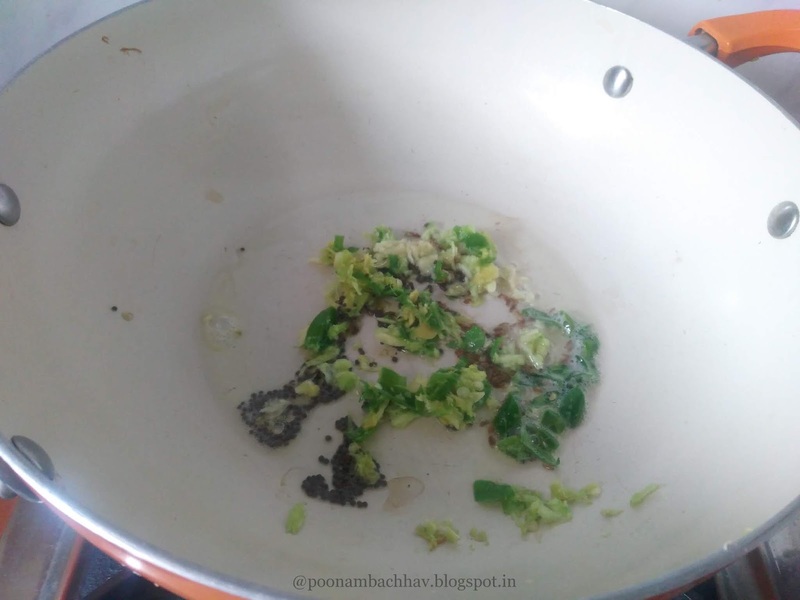 Lastly add the cashew nuts and magaj and fry them until they turn crisp and light pink in color . Remove all the nuts in a bowl. 2. Add remaining 1 tablespoon ghee to the same pan . 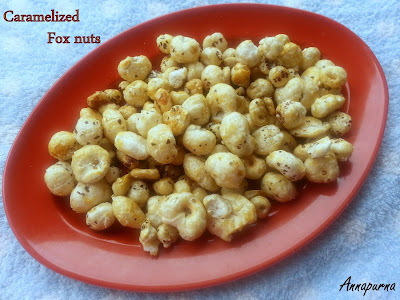 Now add the fox nut to it and roast it while stirring occasionally for 8-10 minutes. On roasting you should be able to break the makhana with a crunch. 3. 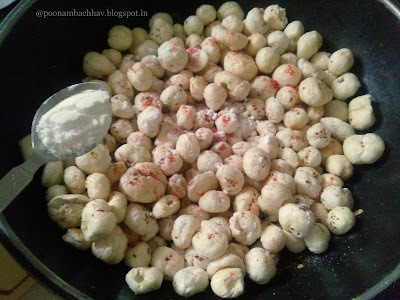 Now season the roasted makhana with red chili powder, roasted cumin powder, rock salt and powdered sugar. Toss well so that everything gets coated well on the makhana. You can alternatively add the seasonings to little ghee and then mix it with the fox nut for better coating. 4. 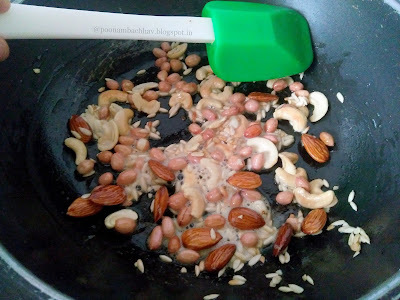 Lastly add the fried nuts and toss everything very well. Serve immediately. Store the remaining in a dry airtight container. Roast the makhana on low flame while stirring occasionally. It took me about 10 minutes to roast 2 cups makhana. 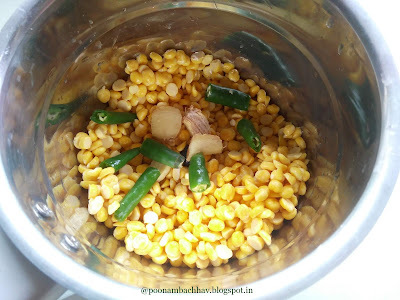 perfectly roasted makhana should be crisp and crunchy like popcorn. 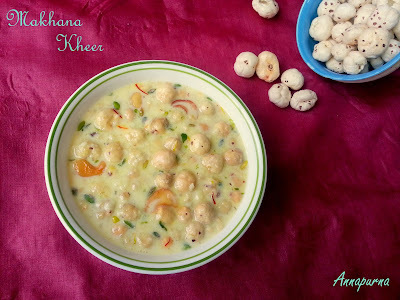 Makhana have a neutral taste , ghee roasting gives a lovely nutty flavor to it. 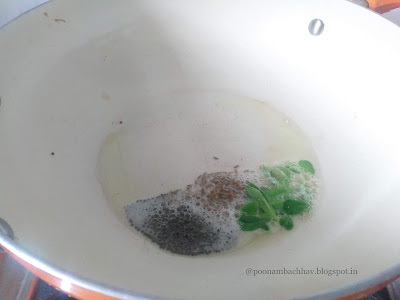 You may add seasoning of your choice like chaat masala, garam masala. black pepper powder, salt , chili powder etc. As I intended to make a falahari version , i added just roasted cumin powder, rock salt and red chili powder. 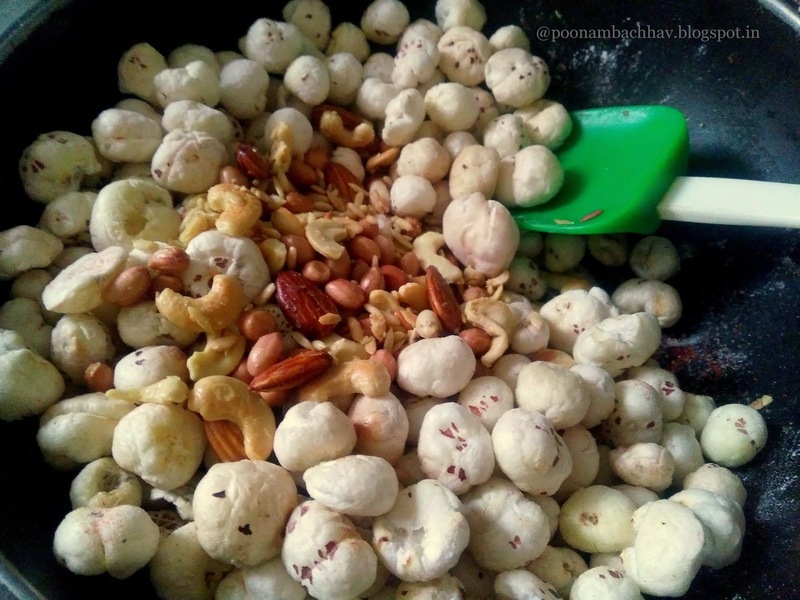 You may add nuts of your choice or skip them altogether. For a vegan version , replace ghee with oil. The makhana chivda remains good at room temperature in an air tight container for about a week. Taking this healthy and delicious Falahari Makhana Chivda to the #183 #FoodieMondayBlogHop with #IndianSuperFoods as the theme for the week. This theme was chosen by Vidya Narayan. 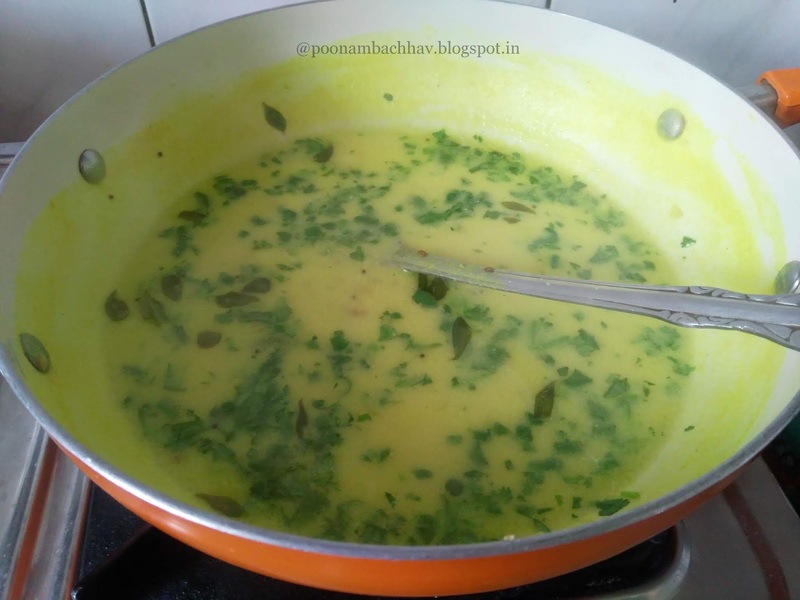 Among Indian super foods we had to cook with either, Moringa, Turmeric or Makhana. Vidya is a passionate teacher by profession, a humble person at heart and a talented food blogger. 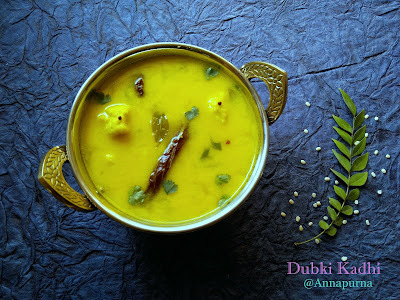 She writes about her culinary journey at Masalachilli. 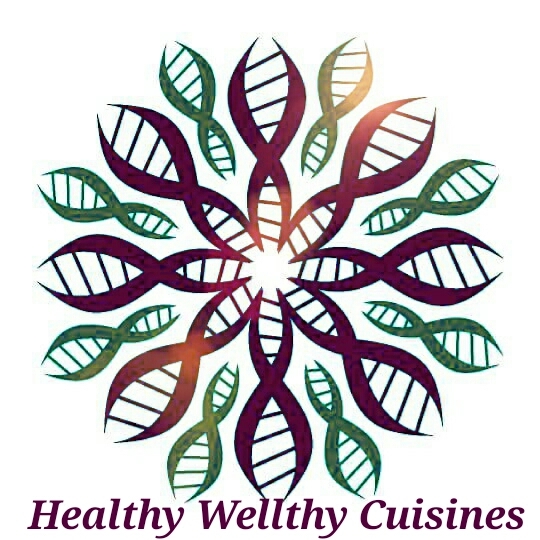 Do check out her space for healthy bakes, authentic Indian recipes and other recipes from around the globe. For more Makhana recipes, do check out the following link from this blog. Peanut butter is a food spread made by grinding the dry-roasted peanuts. It is addictively delicious, protein-packed and easily available in food marts and hence a popular choice among kids and adults alike. Unfortunately, one cannot control the sweeteners, emulsifiers, and preservatives that are added to the store-bought ones. 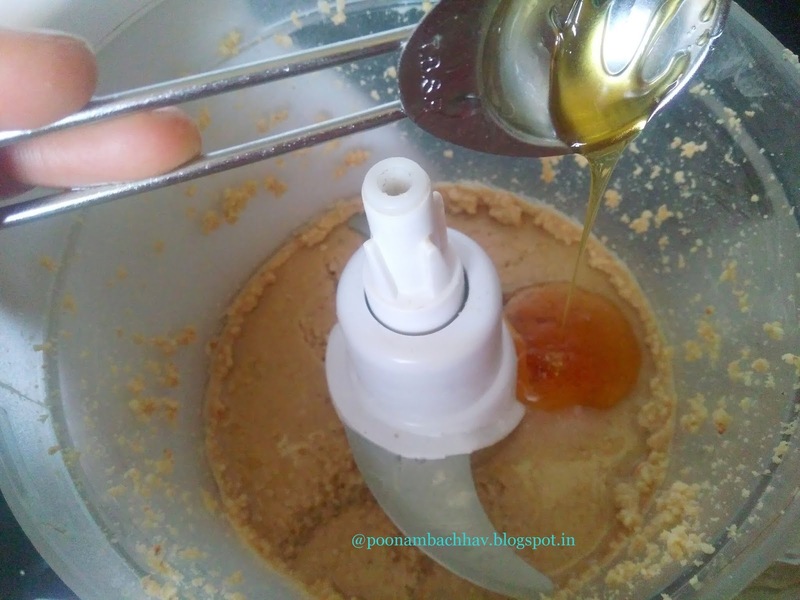 Good news is that making peanut butter at home does not involve any rocket science and you can easily make a batch for yourself which is not only healthier but cheaper too. 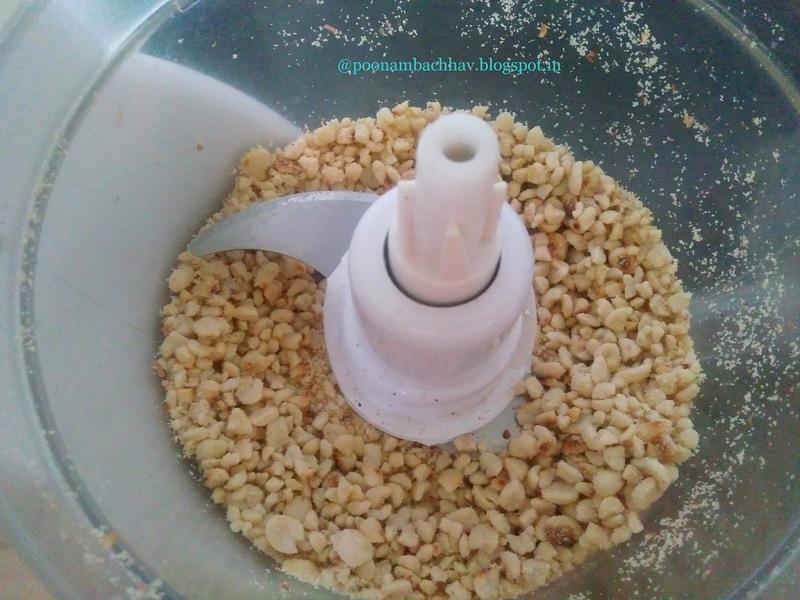 All you require is peanuts, a good food processor and some patience. An additional benefit is that you can customize the recipe and add flavorings of your choice while making it if desired, though this is purely optional. Homemade peanut butter is creamy, has a distinct nutty flavor and is perfectly spreadable. Use it as a spread on your bread or toast or make a wholesome sandwich for breakfast or use it in desserts, granola, and fudges. I do not mind having a spoonful or two right from the jar as my midday snack as it is a guilt-free treat even for weight watchers. Before we head towards the recipe, here are a few points to note. I have used raw peanuts and dry roasted them on low to medium flame. Do not skip this step unless you are using ready-made roasted peanuts, as roasting the nuts helps to release the natural oils which not only adds to the flavor and consistency of the peanut butter but also aids in grinding. Use a good food processor or grinder to make peanut butter for a fuss-free experience. Homemade peanut butter will have a little grainy texture and not as silky as the store bought one, but it will be spreadable. If adding flavorings to the peanut butter, add them towards the end. 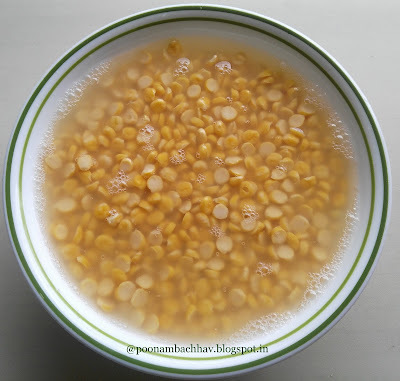 I have added a little groundnut oil, a fat pinch of rock salt and little honey to my peanut butter which lends a mildly sweet and salty taste and nutty flavor to the peanut butter, but this is purely optional. 2 cups of peanuts will yield approximately 1 1/2 cup peanut butter. So adjust the amounts of peanuts used as per your need. Homemade peanut butter stays good for more than a month on refrigeration in an airtight container provided it lasts until then. I usually make it in small batches. Last but surely not the least tip is to have patience while making peanut butter. 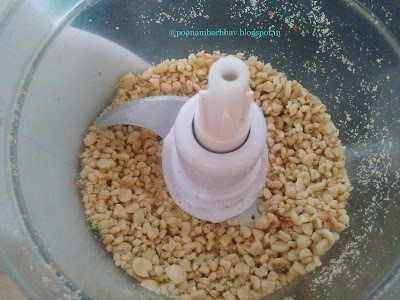 As you keep on grinding the peanuts you will notice that you get a coarse powder and it starts clumping but you do not get that creamy texture you are aiming at but believe me do not lose hope and stop towards the end, keep scraping the sides and continue to run the food processor further until you get the expected consistency of the peanut butter. 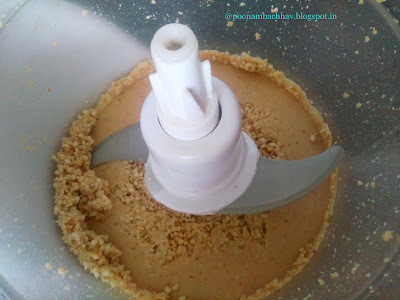 It may take somewhere between 12-15 minutes to get a creamy peanut butter using a food processor. If you have a Vitamix (high-performance blender), you may require less time. It is rich in protein and fiber which makes it filling. This makes you feel full longer, so you end up eating less overall. A serving of peanut butter 3 mg of Vitamin E (a powerful antioxidant), 49 mg of magnesium (aids in bone-building), 208 mg of potassium (muscle-friendly), 0-17 mg of Vitamin B6(immunity booster). Studies indicate that having peanuts can reduce the risk of heart disease, Diabetes and other types of chronic health conditions. 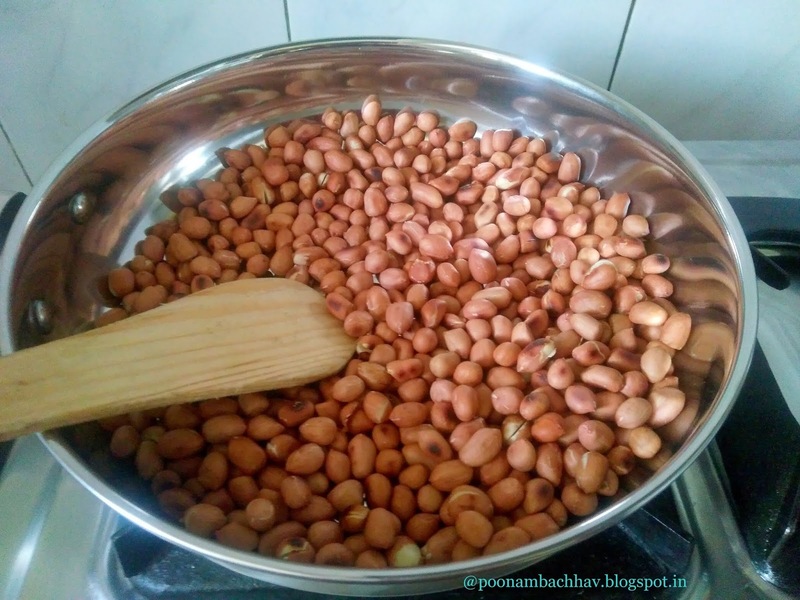 Take the peanuts in a pan and dry roast it on low to medium flame for 7-8 minutes. Keep stirring occasionally to ensure the peanuts do not burn. Alternatively, you may toast the peanuts in an oven at 180 degrees Celsius for 8-10 minutes. 2. Allow the peanuts to cool down a bit in a plate. Rub them with a kitchen towel to de-skin. 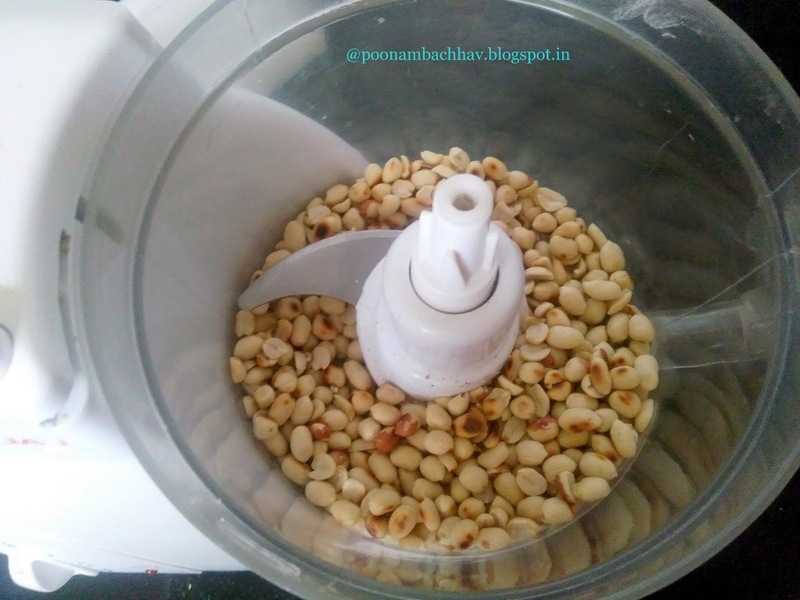 Discard the skin and transfer the peanuts to a food processor or blender while the nuts are warm. Pulse for about a minute or until chopped. 3. Run the food processor or blender continuously for 1 minute. Stop and scrape the sides and the bottom of the processor jar. At this stage, we get a dry coarse powder of the peanuts. Again run the processor for a minute, stop, scrape and continue. 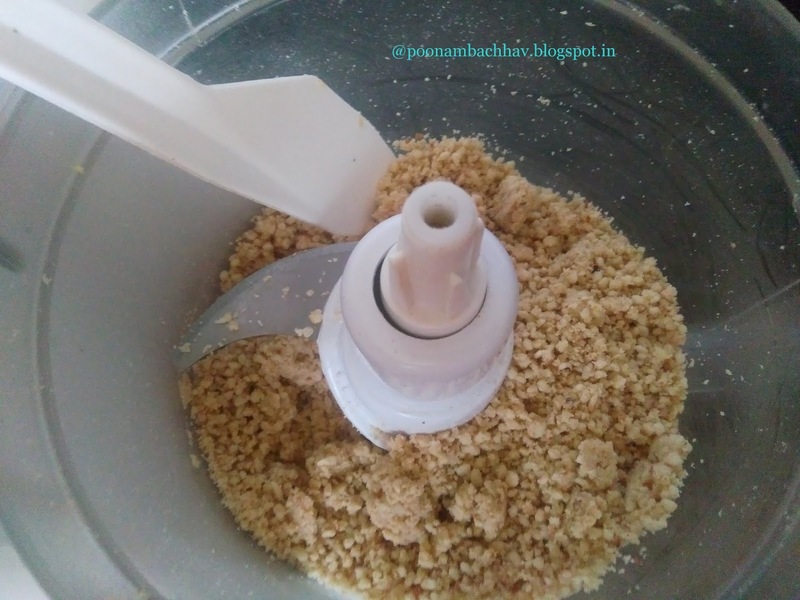 The peanut powder will start clumping together and as you continue to process further for a couple of times, you will see a soft and glossy peanut butter. 4. At this stage add the oil, salt, and sweetener to the peanut butter if using. Continue processing the butter for another 1-2 minutes until it turns smooth and of desired consistency. Homemade peanut butter will be a bit grainy in texture but will be spreadable at this stage. 5. Transfer the prepared peanut butter to an airtight container and refrigerate until use. Dry roasting the nuts helps to release the natural oils which not only adds to the flavor and consistency of the peanut butter but also aids in grinding. So do not skip this step unless you are using pre-roasted peanuts. Homemade peanut butter will have a little grainy texture and not as silky as the store bought one, but it will be spreadable. 2 cups of peanuts yield approximately 1 1/2 cup peanut butter. It may take somewhere between 12-15 minutes to get a creamy peanut butter using a food processor. If you have a Vitamix (high-performance blender), you may require less time. If adding flavorings to the peanut butter, add them towards the end. have added a little groundnut oil, a fat pinch of rock salt and little honey to my peanut butter which lends a mildly sweet and salty taste and nutty flavor to the peanut butter, but this is purely optional. The other flavors that you can try adding to your peanut butter are 1-2 tablespoon of cocoa powder, a dash of cinnamon powder or up to 1/4 cup of chocolate chips. 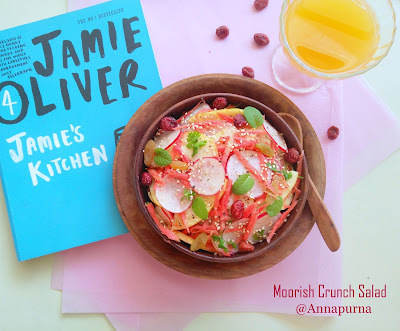 This post is added to the 125 My Legume Love Affair hosted by my dear friend and fellow blogger Seema. Conceptualized by Susan and carried forward to date by Lisa. Linking this homemade peanut butter recipe to 61st Healthy Wellthy Cuisines with #LegumeAffair@HW as the current theme.